Are you researching Colorado bottled water home delivery companies? What should you look for in a water delivery service? There are four important considerations when choosing bottled water: water quality, cost, water bottle storage and delivery schedules. 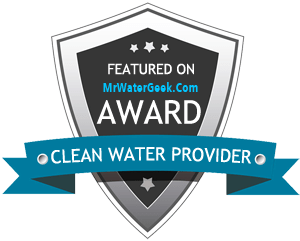 At clearly colorado we go to great lengths to ensure your bottled water products are the purest, highest quality water available in the Colorado Front Range area. The clearly colorado filtration and bottling facilities meet all federal and state health standards. We practice International Bottled Water Association rules and regulations. Annually we have formal standardized FDA inspection and testing, physical, chemical and radiological. On a daily basis we monitor and test our water, adhering to FDA standards. Our standard delivery schedule is every 2 weeks or monthly. Custom home water delivery can be arranged to meet your special needs. Our delivery staff carries the bottles into your home. The delivery staff are non-commissioned, so they deliver only what you need and never over deliver. Choose from our large inventory of free standing water coolers, bottled water crocks and stands, and counter top dispensers. You have the choice of leasing or purchasing your dispensers. If you lease, we handle all equipment maintenance and repair. Our bottled water is filtered and tested to avoid any harmful particles, additives and chemicals.